We are now able to provide customers with access to Experian’s market leading Limited Company Credit Reports and Directors Reports. Browse all data providers available in Encompass. 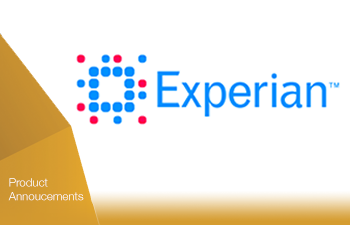 Experian’s Limited Company Report: up to date credit score, suggested credit limit and risk assessment; checks for any County Court Judgments; and shows payment profiles and details of unpaid accounts. Experian’s Directors Report: includes how long they have been director, their previous directorships and any disqualifications or dissolved partnerships that might cause concern. File attachments: Attach your own case notes and documents to the workspace. Whether it’s a PDF, word document, image, audio or video file, Encompass supports all the rich media that will turn your workspace into a part of your everyday workflow. 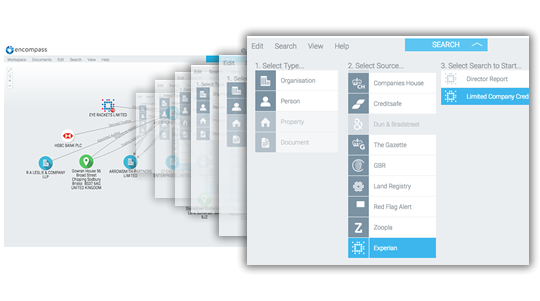 Encompass integrates seamlessly into your workflow, allowing you to customise the workflow to suit you. By simply right clicking on a person, property, company in the chart, you can attach your own documents to augment the chart to and seamlessly integrate with the way you work today. Whether it’s a PDF word document, image, audio or video file, Encompass supports all the rich media that will turn your workspace into a part of your everyday workflow.